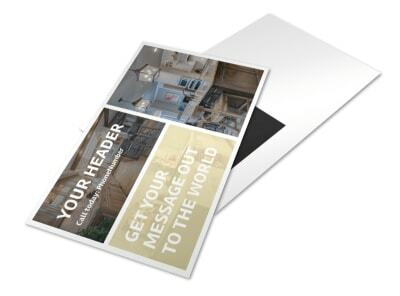 Hammer down on the competition with postcards you create yourself using our house and home postcard templates. 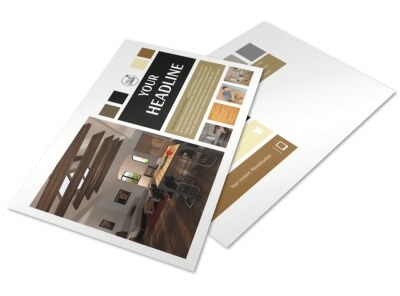 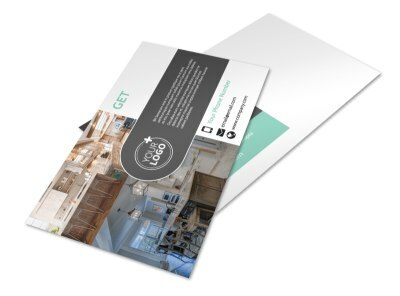 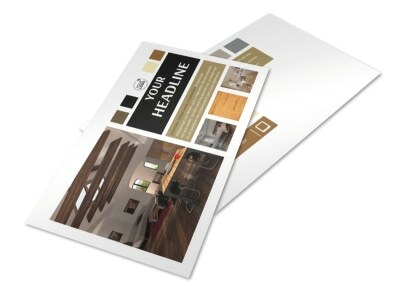 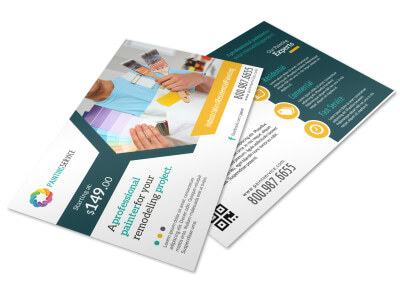 You are just a few mouse clicks away from effective and attention-grabbing customized postcards to market your handyman services, plumbing business, or flooring installation special. 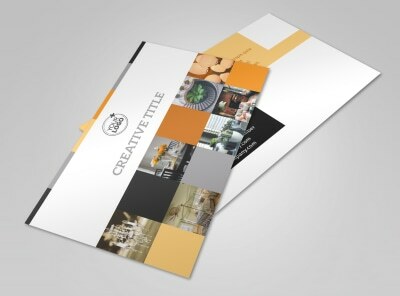 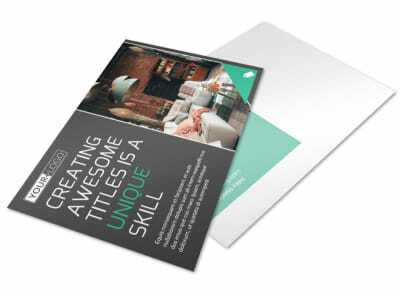 Our designers crafted each of our templates with simplicity and ease of use in mind. 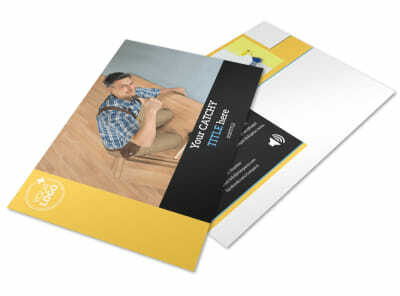 Just upload your photos, images, artwork, and text, and manipulate the design until it’s just right for you. 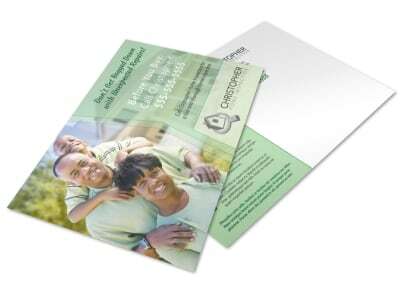 Print out your handiwork from any location, or let us provide professional CYMK printing on quality paper for a polished touch. 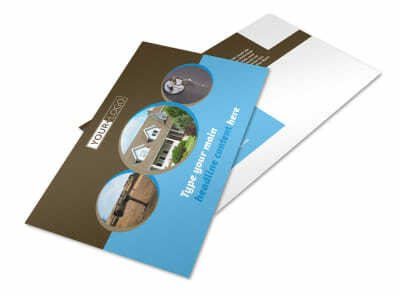 Put unwanted critters on notice with a marketing campaign centered on your own customized pest control postcards. 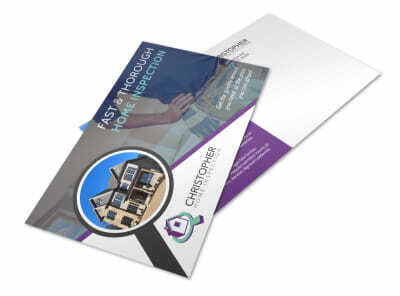 Strike fear into the hearts of rampant mice and uninvited ants with postcards detailing a monthly special for residential or business customers, deals for new clients, offers of free inspections and estimates, or other promotions. 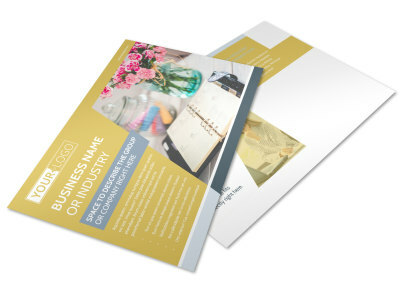 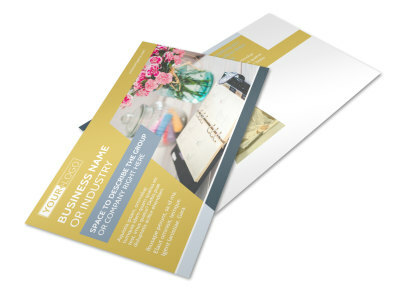 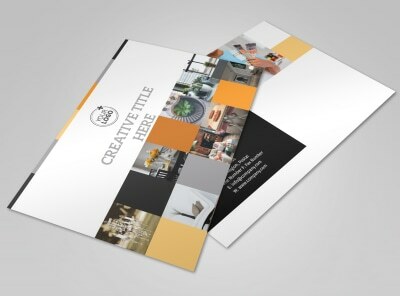 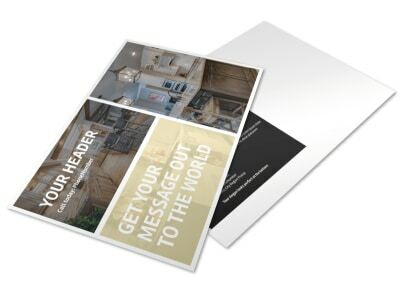 Postcards running down your services, expertise, and rates generate buzz for your business and position you as the go-to spider eradicator and termite executioner you are. 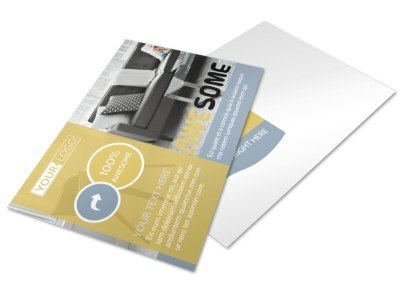 Target your current mailing list, or take advantage of the USPS Every Door Direct Mail program to hone in on a more specific audience. 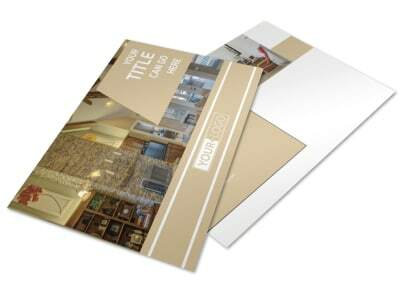 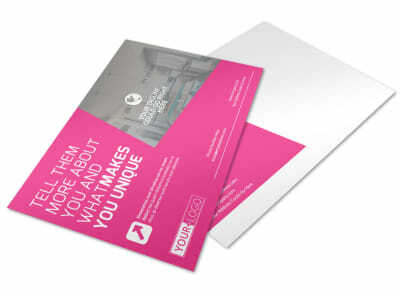 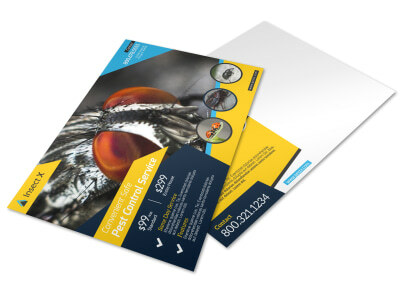 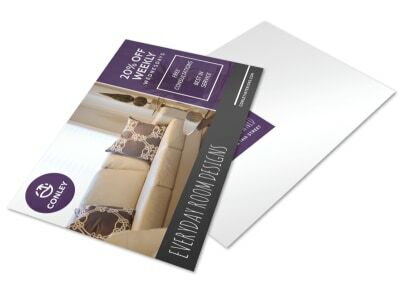 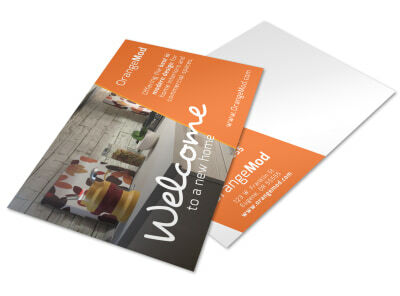 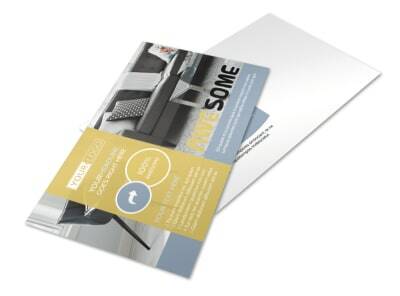 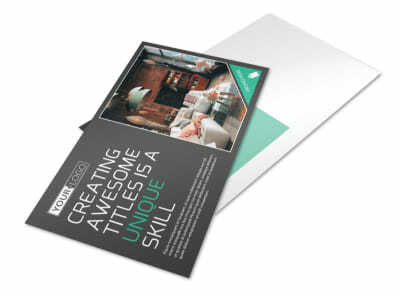 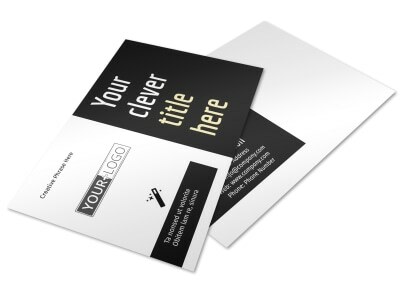 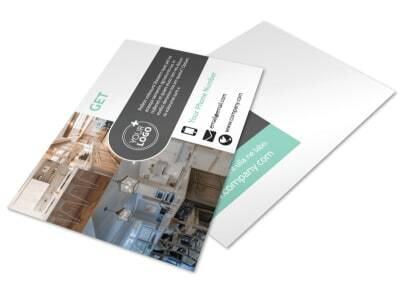 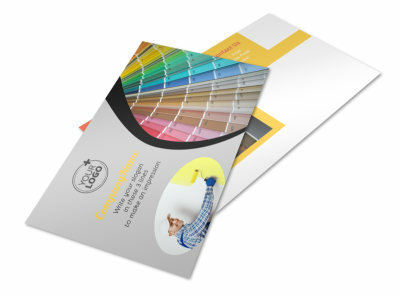 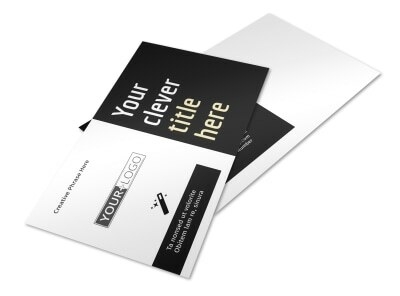 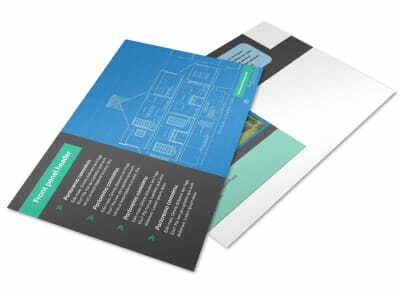 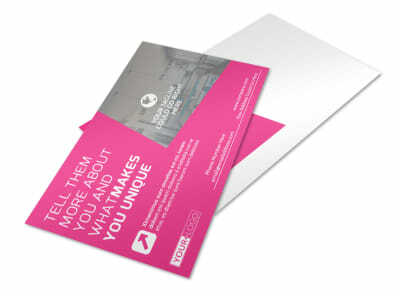 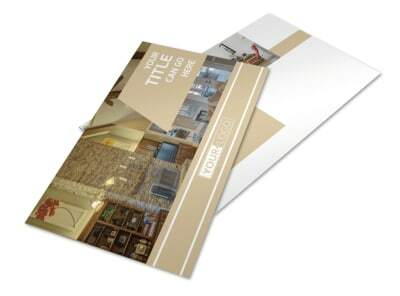 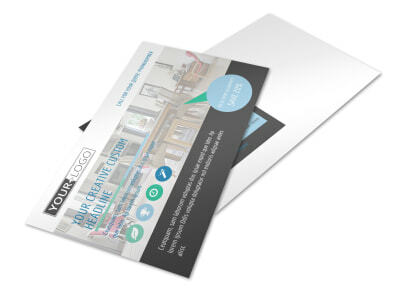 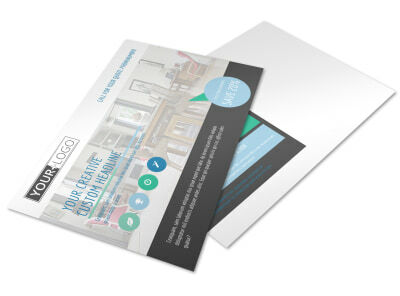 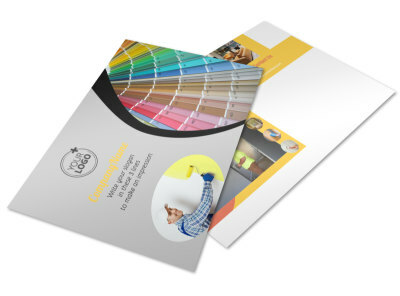 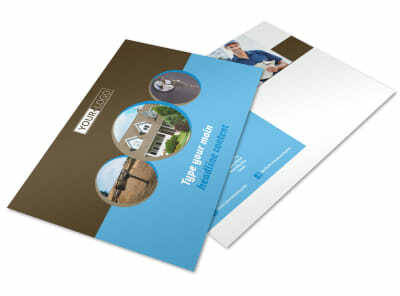 Learn more about customization options for your pest control postcards now! 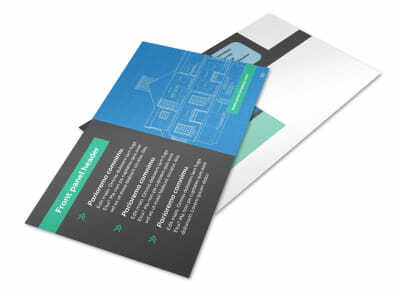 As the seasons change, homeowners often discover issues with their heating and cooling systems (the A/C quits in the middle of July, the furnace goes quiet on a frigid January morning). 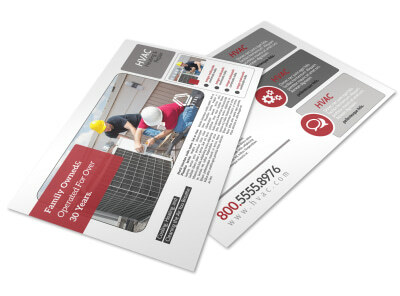 Get ahead of the demand by designing and customizing an HVAC postcard that won’t be discarded with the Friday trash pick-up. 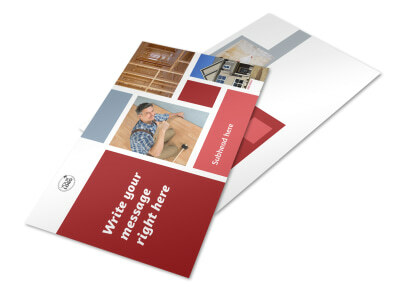 Address the most common home HVAC issues and emphasize that you are qualified to remedy them. 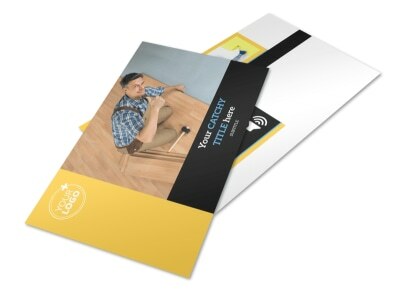 Offer free, in-home estimates and guarantee your work – integrity is a valuable commodity, and it’s a vital building block when establishing a long-term contractor/client relationship. 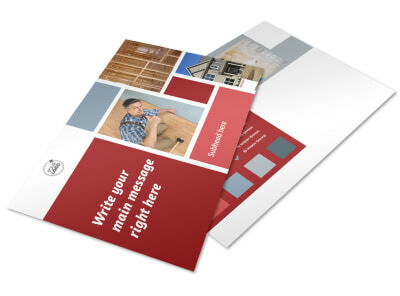 Include your contractor license number and offer references upon request. 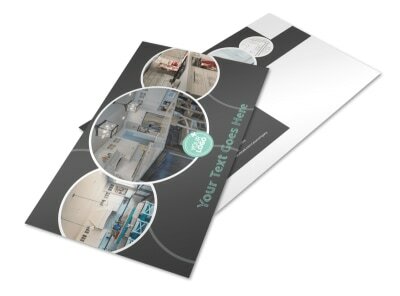 Get your postcards designed and sent today – before the snow flies, the leaves fall, or the summer breeze returns! 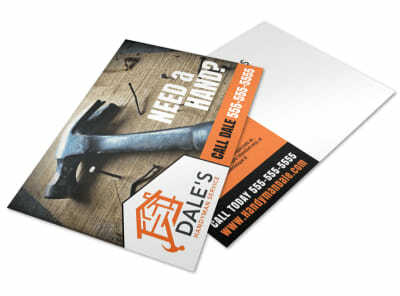 When faced with a leaky roof or damaged shingles, some homeowners are experienced enough to DIY the repairs. 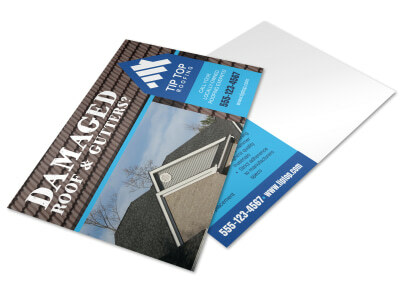 Save the rest of the world (or at least your community) from ending up like Tim “the Toolman” Taylor and jumping through the roof by customizing and mailing out a compelling, irresistible roofing service postcard. 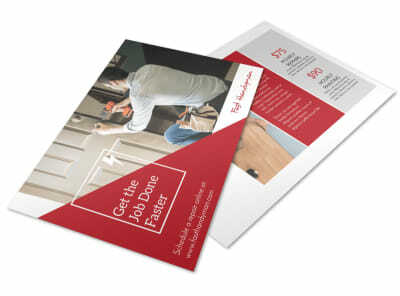 Encourage unqualified weekend warriors to leave the pinnacle of home repair projects to the professionals. 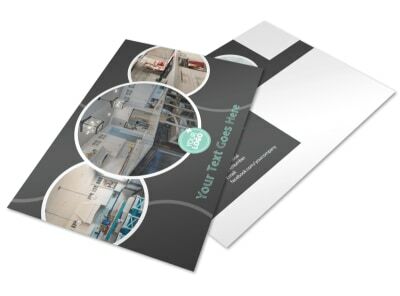 A postcard in hand takes the uncertainty out of the “who ya gonna call?” question – and no, Slimer does not need to be on their speed dial! 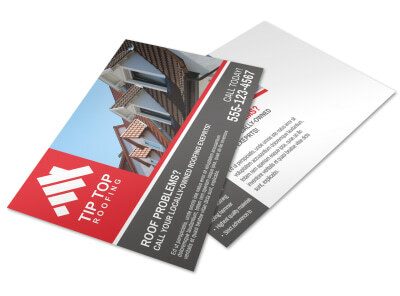 Take your rightful place at the top of the roofing contractor ladder by jumping into our online editor with both feet – just make sure you’re tied off first!